Jim Boeheim and staff didn’t even have a top-25 class in 2009, but in 2010, they were a No. 1 seed. Right now, in the office of every college basketball head coach and assistant in America, there’s a board listing basketball’s five playing positions. Below each position are five or more names. Below that is a makeshift roster for 2011-2012, denoting likely scholarships. Traditionally the first player in every position group will get a scholarship offer. Some programs — like the Kansas Jayhawks or the Kentucky Wildcats — sit and wait more than others. Kansas brings in most high-level recruits to Late Night in the Phog (their Midnight Madness); that’s when most of the work gets done for them. Recruiting is a long-term dance, and while coaches put pressure on guys to enroll — telling them their scholarship may go to another player — players and their families play the game, too. As some coaches are now admitting, more and more players arrive on campus thinking that a top-100 recruiting ranking entitles them to something. As a coach, you need talented players for your program, but you don’t always want everything that comes with them. More and more teams are getting tired of stories like that one. They want to stop the cycle and they want to do it now. So, for those looking for a model example, I direct your attention to the Syracuse Orange, who have become the blueprint for how to recruit successfully. After Cuse won the national title in 2003, their staff could get into any home in America and talk to any blue-chipper they wanted. They got guys like Louis McCroskey, Darryl Watkins, Terrence Roberts and Demetris Nichols. All were well regarded, but only Nichols became a solid contributor at SU. The list continues: Dayshawn Wright, Josh Wright, Tiki Mayben and Mike Jones all came in with hype — yet those Syracuse teams would have been a non-factor if Gerry McNamara hadn’t hit every shot he took at the Big East tournament. The Orange weren’t the only team to struggle — or at least fall short of expectations — despite recruiting success. After the Maryland Terrapins won the 2002 national title, they got guys like John Gilchrist, Nik Caner-Medley, Jamar Smith and Travis Garrison. The Terps went to the Sweet 16 the next season, but followed it up with a second-round exit and two straight NIT appearances. The 2005 Oklahoma State Cowboys — who hauled in what some ranked as the best recruiting class in the country — didn’t make the NCAA tournament until the senior season of that class, and even then, only two of the seven players signed actually made it. There were numerous issues with that squad in terms of off-court distractions. Recruiting is an art form that requires a ton of talent-evaluating skill and research as to what kids are really like. As those three examples show, the best players on the court in a summer AAU game might not be the best fit for your program. But take last season’s Syracuse squad. Over the summer, Jim Boeheim’s top three scorers all left, but the team got better without the help of a McDonald’s All-American. In 2009, they weren’t even a top-25 recruiting class in the ESPN rankings. While they fell to the eventual national runner-up Butler Bulldogs in the Sweet 16, they also won 30 games and landed a No. 1 seed in the NCAA tournament — and you can make an argument they could have gone deeper had Arinze Onuaku been healthy. And there have been plenty of other recent examples of teams achieving big-time success without big-time recruits. 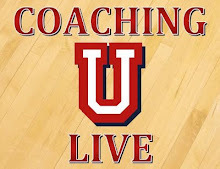 Just about every college player dreams of playing in the NBA, but few of them realize that it takes more than a high ranking by a scouting service to get there. Even some of the most talented NCAA players don’t realize how high the skill level is at the next level. Other players come to campus with one foot out the door, expecting that their time in college is just a stopover on the way to the NBA. That can kill team chemistry and absolutely undermines any team-first concept. 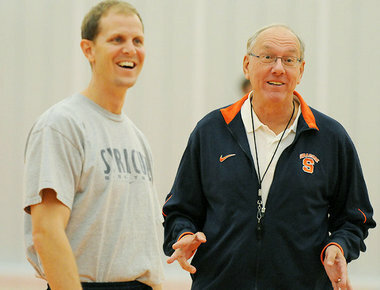 Though the Orange lost Flynn, Paul Harris and Eric Devendorf, Boeheim was left with a core group that was committed to winning at Syracuse and didn’t stare longingly at a future in the NBA. That focus can’t be underestimated when it comes to success at the NCAA level. And it seems more programs are emphasizing that in their recruiting. That approach may pay off this upcoming year for the Purdue Boilermakers. If they make a long-expected Final Four run with a healthy Robbie Hummel, that will further underscore the value of getting the best fit instead of the best pure baller. When the ink dries on all the letters of intent this fall, don’t be shocked to see a few players with lower rankings pop up with big-name schools. Even now those boards in basketball offices may list some unexpected players. They may not be the best players in their class. They may not top recruiting rankings. But they will still be talented, coachable and dedicated to the task at hand. And that’s exactly what coaches need right now. This entry was posted in Recruiting and tagged ACC basketball, Big East basketball, Doug Gottlieb, ESPN, ESPN Basketball, ESPN Recruiting, Jim Boeheim, Mike Hopkins, recruiting, Syracuse ACC, Syracuse basketball, Syracuse University. Bookmark the permalink.